Maeda has just moved into his new apartment to live by himself. While unpacking, a cute middle school student named Chie Satonaka suddenly appears in his room. She introduces herself as his new landlord, which pleasantly surprises him as he has never seen a landlord so young. His excitement is boosted further when the gorgeous Reiko Shirai, who lives directly next to him, also introduces herself as his new neighbor. Ooyasan wa Shishunki! 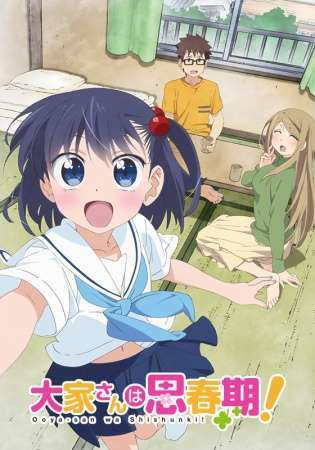 follows the everyday lives of Maeda and his newfound acquaintances, where each day presents itself as an opportunity for new events to unfold and new bonds to be forged.